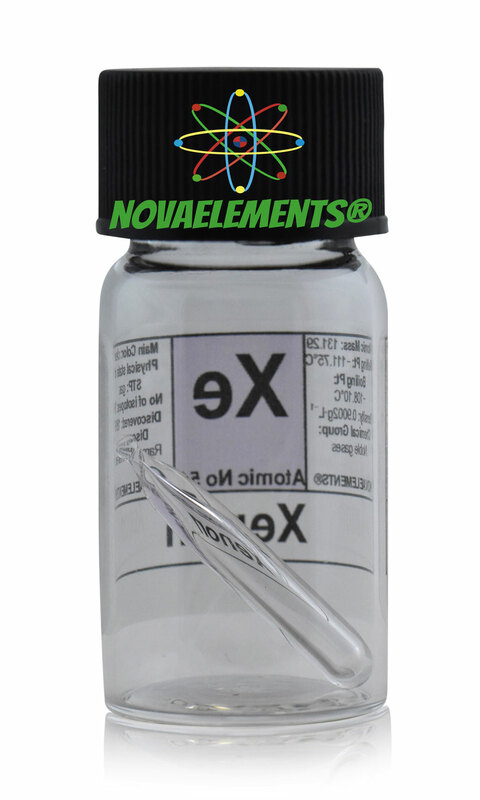 Xenon is one of the noble gases, it has chemical symbol Xe and atomic number 54. 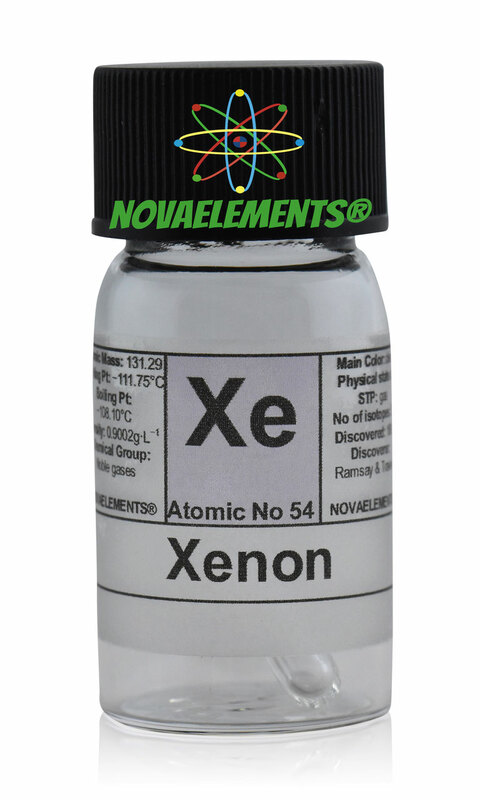 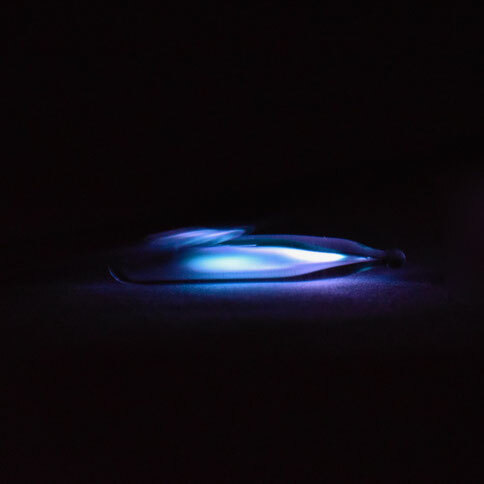 Xenon is a colorless and inert gas at normal pressure and temperature, it find applications in the car headlights due to high illumination. 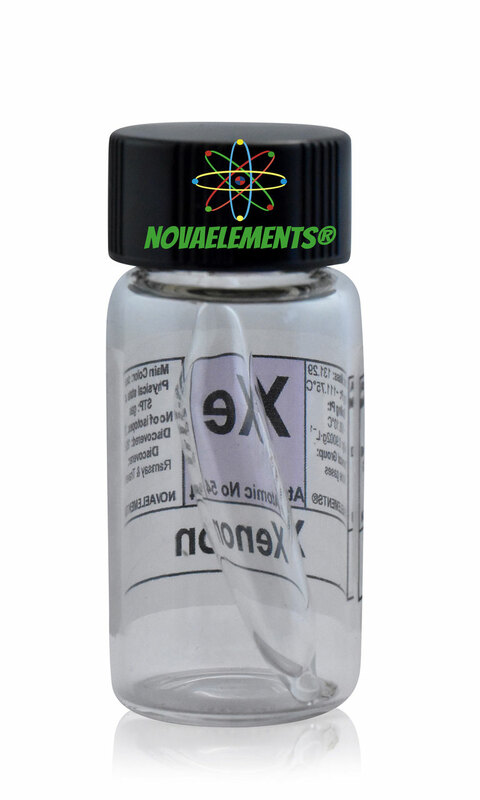 Pure and rare Xenon gas mini ampoule inside glass vial. 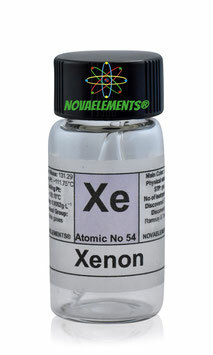 Xenon gas element sample.